Pickup from Chandigarh Railway station / Bus stand / international airport. 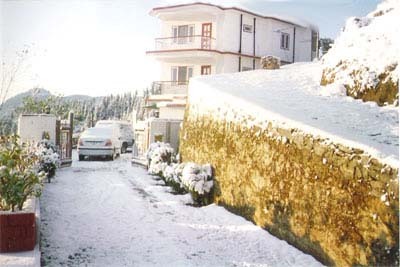 Travel from Chandigarh to Sunrise Villa Shimla. This distance is 100 kilometers and takes about 3 to 4 hours. On the way stop at Pinjore Gardens / Timber trail resorts if time permits. Check in at Sunrise Villa Shimla. Visit to Tara Devi temple, Sankat mochan temple, Indian Institute of advance studies, Army museum, Shimla local on foot where you can see / visit the Lakkar Bazaar, Ridge, Church, Mall road, Scandal Point, Kali Bari temple etc. Ideal time for shopping and eating out at restaurants on the mall road. Travel from Shimla to Manali. The distance is 250 kms and the travel time is 8 to 10 hours. The terrain is hilly but the drive is excellent along the river beas from Kullu to Manali. On the way see the Pandoh dam built on the river Beas. Check in at the cottage. Visit the famous Rohtang pass where there is snow all twelve months a year. On the way see Kothi Gorge, Gulaba, Marhi tourist spots. If Rohtang pass is closed, visit to Snow point. Also visit Solang valley. One can have skiing, paragliding and ropeway ride here. Visit Hadimba Temple, Vashist sulphur hot springs, Manu temple, Club House, Van Vihar, Tibetian Monastery. Evening free to roam on the mall road, do shopping of famous Kullu shawls and other gift items. Travel from Manali to Chandigarh. Distance 310 kms travel time 8 to 10 hours. Dropping at Chandigarh railway station / airport / bus stand. Kindly let us know your travel plans by filling in the following form and we will get back with the exact quote for you.